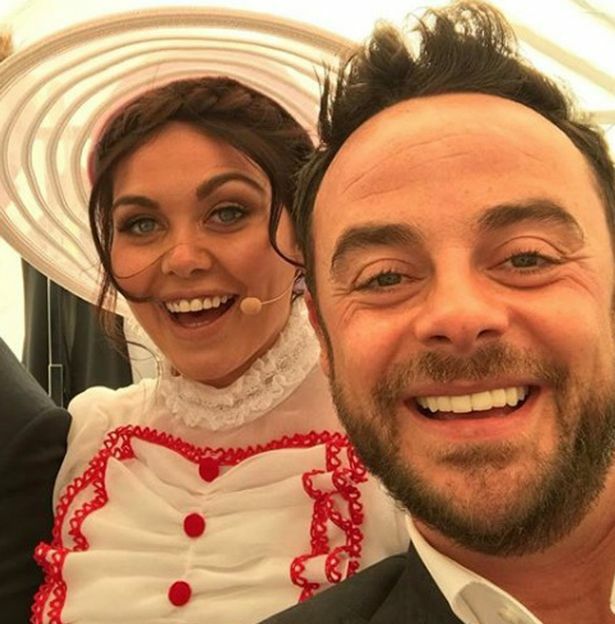 Scarlett Moffatt recently caused a bit of a frenzy on social media with a bedroom selfie which seemingly ‘proved’ her relationship with Ant McPartlin. The Gogglebox star posted to Instagram a mirror pic in her bedroom showing her outfit of the day, but fans noticed pretty quickly the picture of she and Ant on her bedside table in the background. Fans bizarrely took this as ‘confirmation’ that the two were together, following Ant’s separation from Lisa Armstrong. They called her out in the comments section, so to defend herself, the Geordie reality TV star took to Twitter to defend herself, despite really not needing to. My house is like a shrine to Saturday Night Takeaway, I’m A Celeb and my family the amount of photos I’ve got kicking about. Fans were quick to support Moffatt, telling her they didn’t think she needed to explain anything to fans about her personal life. My house is like a shrine to Saturday night take away, I’m a celeb and my family the amount of photos I’ve got kicking about ? The two have worked together on Saturday Night Takeaway and I’m A Celeb spin-off Extra Camp, but there is no real reason to think the two are romantically involved. In fact, a representative for Ant dismissed the speculation as ‘total b*llshit‘, so it just goes to show they’re not taking it very seriously. Can imagine you’re still pinching yourself at how far you’ve come from being a massive fan to working alongside and being mates with them. No need to explain yourself, carry on what you’re doing. Can imagine you're still pinching yourself at how far you've come from being a massive fan to working alongside and being mates with them. No need to explain yourself, carry on what you're doing! ? Many fans echoed the sentiment, with some saying they too would have a picture of themselves with Ant and Dec on their bedside table if they were lucky enough to take one. Moffatt was reportedly ‘devastated’ at the original rumours of an affair between herself and her colleague, and was reportedly concerned it would tarnish her burgeoning career. She and Ant really clicked when they met but it’s purely platonic and she knows it must be difficult for Lisa to see the reports linking the two of them. Scarlett hates being linked to her male friends. She’s furious at the implication that she’s cheating with Ant and fears all the gossip about her and rumoured men will ruin her reputation. Scarlett recently praised Ant and Dec for curing her nerves leading up to her job as presenter on I’m A Celeb’s Extra Camp, confessing she’d been fretting about how audiences would take her. They just said ‘be you’, which coming from them, when they are my absolute heroes, gives me the confidence to just be me. They [Ant and Dec] are my absolute heroes, it gives me the confidence to just be me. If they have faith in me, I must be doing something half decent. Sadly, the world we live in now is that it’s impossible for two single members of opposite sexes to become close – professionally or otherwise – without rumours sparking on social media about their blossoming relationship. Thankfully, it seems by the last tweet that Scarlett has realised just how ridiculous it all really is.